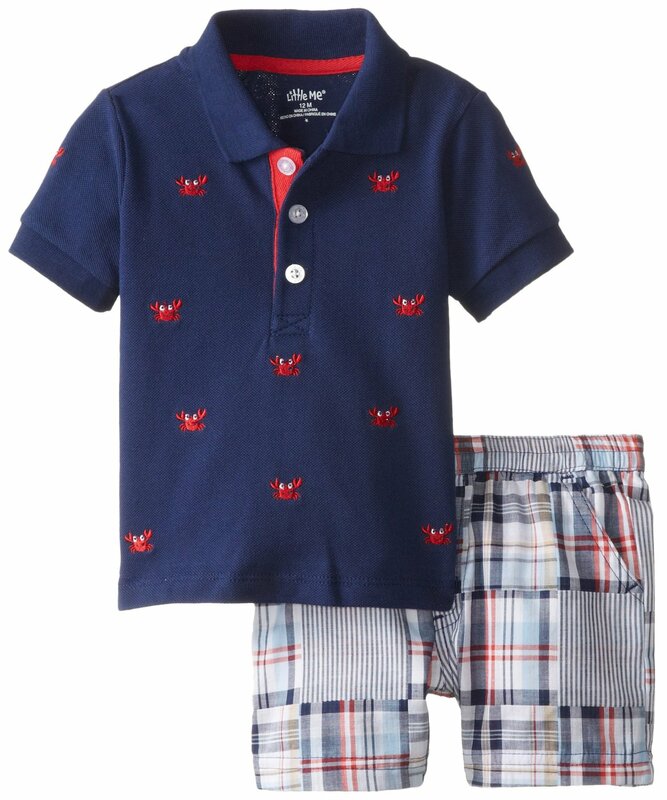 Fabulous Little Me Boys short set features navy , red and white plaid seersucker elastic back shorts with navy cotton polo shirt embroidered with red crabs. In cotton. Machine wash. Imported.